Dr. Winchell is a nationally renowned expert in care for the critically injured and the development, design and operations of trauma systems. As chief, Dr. Winchell heads one of the leading Level 1 trauma centers in New York City, managing a variety of emergency situations and patients with acute injuries requiring immediate attention. He also oversees the nationally recognized William Randolph Hearst Burn Center. Winchell, who received his undergraduate degree at the California Institute of Technology, is board certified in general surgery, with added qualifications in surgical critical care. He is a fellow of the American College of Surgeons, as well as a member of the American Association for the Surgery of Trauma, the Association for Academic Surgery, the Southwest Surgical Congress, the Society of Critical Care Medicine and the New England Surgical Society. Robert J. Winchell, MD, FACS received his undergraduate degree from the California Institute of Technology, his M.D. from Yale University, and did his internship, General Surgery residency, and Trauma and Critical Care Fellowship at the University of California, San Diego, where he remained on the faculty as Associate Professor of Clinical Surgery in the Division of Trauma through 1999. After leaving the University of California, Dr. Winchell established and subsequently directed the Tacoma Trauma Center in Tacoma, Washington, which continues to operate successfully as a joint venture between two previously competing hospitals. In 2001, Dr. Winchell moved to the Maine Medical Center and assumed the role of Head of the Division of Trauma and Burn Surgery in 2004. He remained in that position for 10 years, also serving as an Associate Professor of Surgery at the Tufts University School of Medicine. Under his direction, Maine Medical Center became a verified Level I trauma center for the first time in 2007. After leaving Maine, Dr. Winchell served as Chief of Trauma and Visiting Professor of Surgery at the University of Texas Health Science Center at Houston and Chief of Trauma at Memorial Hermann -Texas Medical Center until assuming his current post. In July 2015, Dr. Winchell joined the faculty in the Department of Surgery at Weill Cornell Medical College as Chief of Trauma, Burns, Critical and Acute Care and Director of the Trauma Center at New York-Presbyterian Weill Cornell Medical Center. 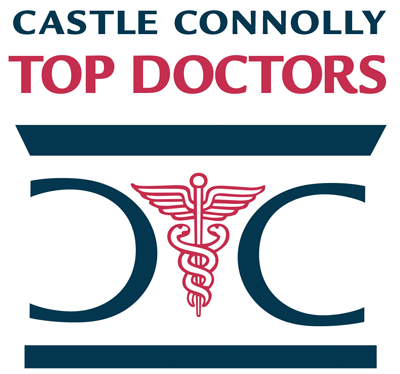 Robert Winchell, M.D., FACS has been named one of America's Top Doctors by Castle Connolly. We have 384 of America's Top Doctors in 57 medical specialties.